If you've just gone back to school/college, I hope you had a good first week back! I've always been into reading quotes, and absolutely love anything that has a quote written on! I could spend hours looking at quotes, and recently I have been going through a stage where all I want to do is look through and read quotes. I have so many favourites, and I find each ones can mean a lot. Obviously everyone has different opinions, and you may think differently to me, so I will just say what I think of these quotes. The quotes are in no particular order as I don't think I could really choose an order! Also, none of these quotes are mine. 'Even the darkest night will end and the sun will rise' - I love this one because it's so true...whatever problems you face, they will disappear, and soon everything will be fine. It just takes time. I am very sorry that there hasn't been a post for around a week, I have been very busy recently. For this post, I thought I would share my 'pamper night routine'. We all know how nice it is to have a night to completely relax, and do whatever you feel like. Firstly, if I am wearing makeup, I like to remove it with my Simple Hydrating Cleansing Oil. I really like this to remove makeup and it makes your skin soft, and definitely removes all the makeup, however you do need to ensure you wash all the product off as it is oily. I would recommend this product though! This post is going to include different ways to help you destress and relax. Obviously everyone is different, and may not find all these things destressing, but these things help me when I feel stressed, if I feel like I need a little break from what I am doing, or even if I am feeling a bit nervous. I think taking time out to relax when you are stressed is so important, as it helps clear your mind. When I was doing my exams, I feel like I didn't take enough time to relax, as I was so stressed and worried, I just felt like I had to revise all the time, which meant I got even more stressed out, but when I did take a break I would be thinking 'I need to be revising'. So even if you just take 10-20 minutes to sit down, away from work, I think it still it helps. This post is slightly different from my other uploads. 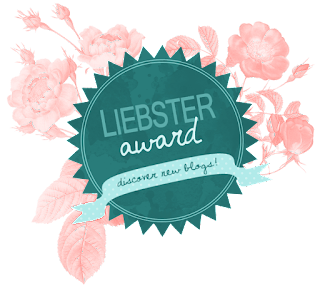 I was nominated to answer questions for the Liebster Awards by AnnieChanie, so thank you for the nomination Annie! Also, go check out her post and blog, which I have linked to her name. I have been so excited to do this post and to be involved with this since I saw I was nominated, as not only to help others gain readers, but also to make new friends who all have a passion for blogging! 4. Let them know you nominated them! I would say my favourite fictional character is Penny from Zoella's series of Girl Online. I think she's my favourite as throughout the three books, Penny appears to be very relatable to teenagers. How was your week? I hope you all enjoyed my post last week which was my June Favourites! If you haven't already, please go check it out! I love snacks, especially healthy snacks. I am interest in cooking and food, and I think the interest has come from watching Jamie Oliver and YouTuber and blogger Niomi Smart. I have obviously got inspiration from my family, but when I properly started watching Jamie Oliver's TV programmes, in particular the Super Food series, that is when I started gaining an interest in cooking and food. So for this post I will be sharing some of my favourite healthy snacks. I'm sorry my blog updates haven't been consistent and the same every week, however my schedule is going to be every Saturday, unless I change it. I'm also sorry that this post is uploaded a day late, I didn't have enough time to finish it for Saturday. Anyway, I thought I would show you some of my favourite products and things I have been loving throughout June. Here are all of my June favourites! Firstly I have a beauty product. This month I purchased the No7 Extreme Length mascara and loved it ever since I first wore it. For a while I had been looking for a mascara that wasn't clumpy and also added length to lashes, and this mascara is not clumpy at all. I find that this mascara is great for everyday wear, and for a natural look. This is definitely one of my new favourite mascaras!